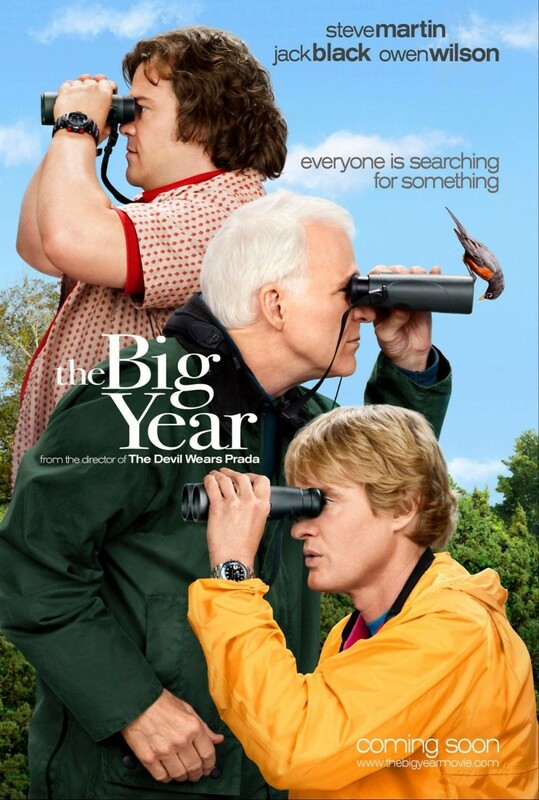 The Big Year DVD and Blu-ray release date was set for January 31, 2012. The not-so-gentle world of competitive birdwatching sets the cinematic stage for The Big Year, in which Kenny Bostick, Stu Preissler and Brad Harris vie for the coveted honor of Birder of the Year. Bostick is the birder to beat; he's got 732 birds under his belt in a single year, the all-time record. A birding challenges is in the offing, but Bostick has some domestic issues to deal with -- his wife would much prefer he attend to his husbandly duties at home, while Preissler has a business to run and slacker Harris is getting flack from a disapproving daddy. The three leave their troubles behind and follow the flyways in search of their elusive prey, crossing the continent as far as the wilds of Alaska to rack up birds and bragging rights.